Among elongated coin collectors there are always discussions about when the first pressed coin was made. The common answer that most accept is that during the 1892-1893 Columbian Exposition that was held in Chicago, Illinois there were a few different designs available to press during the event. My collection primarily consists of designs I pressed myself during vacations or day trips with my family and aren’t much older than the early to mid-90s. However as a collector I always have my eyes open should any of these early coin designs become available. Unfortunately finding these can be a little difficult and when you do come across them especially online it can be hard to ensure they are authentic and not a reproduction. But just recently I was able to acquire one through a very trusted and source. 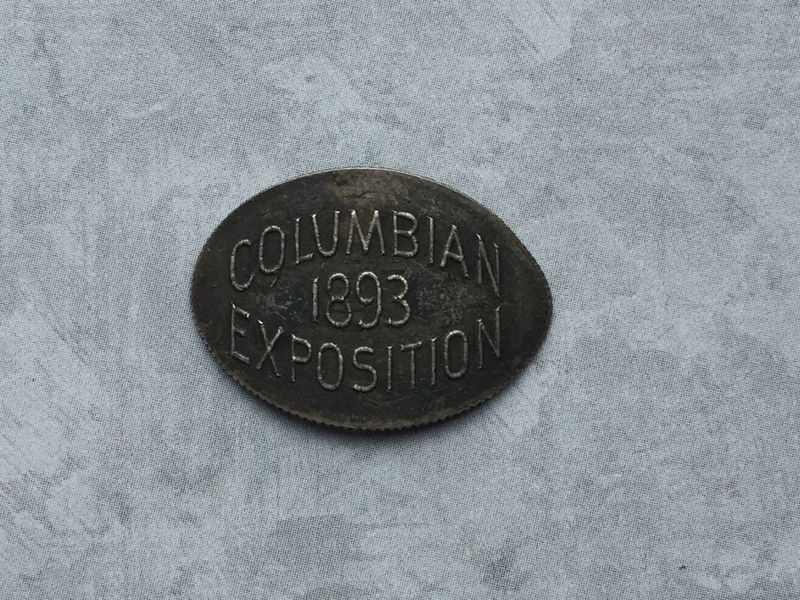 The version I received is the Columbian Exposition 1893 design and was pressed on a 1891 seated dime. 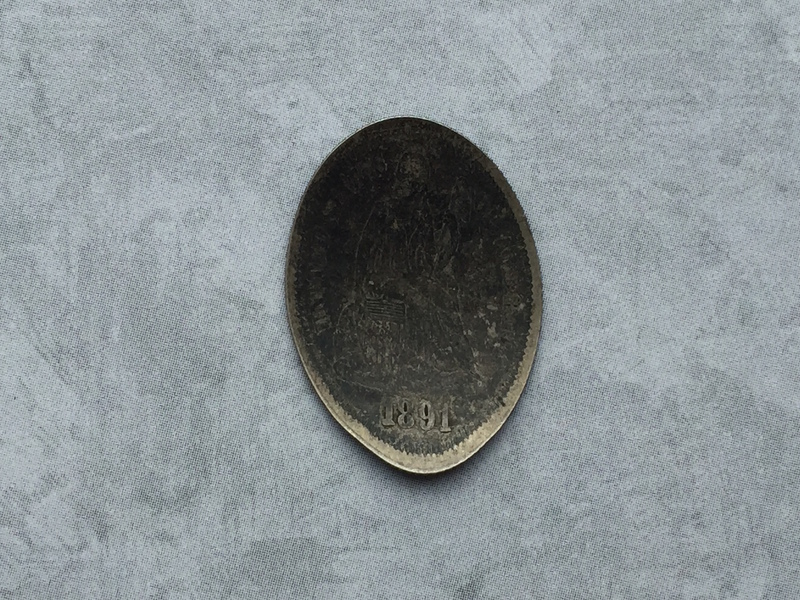 Above is an image of the front design for the coin, and below is a shot of the back where you can see the year of the coin 1891. I was able to get my hands on this coin and a few others from a very well-known gentleman in the elongated collectors community. Mr. Ray Dillard has been a past President of the TEC club, an active enthusiast and an amazing ambassador of the hobby. His elongated coin collection is really one of a kind. I was able to meet Mr. Dillard during the ANA Convention that was held in Philadelphia a few years ago. He was more than happy to take some time and talk with me about various elongated coin related topics and I really appreciated the time he spent with me that day. Recently Mr. Dillard has offered a list of elongated coins for sale. There are some really great coins on this list and you know they are coming from a very credible source. Here is a link to the list (ray-dillard-pricelist5315). If you see any you are interested in Mr. Dillard’s contact information is included on the first page. But be quick as many of these items may not be available for very long. A special thank you again to Mr. Dillard for everything you do for our hobby, it is all very much appreciated.